New Amsterdam is inspired by Dr. Eric Manheimer’s memoir Twelve Patients: Life and Death at Bellevue Hospital and his 15 years as medical director at the hospital. 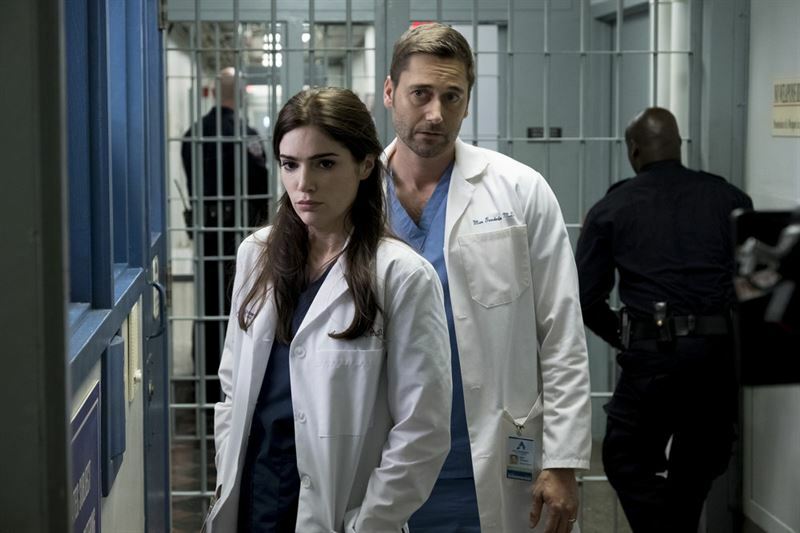 New Amsterdam is averaging a 2.5 rating in adults 18-49 and 11.9 million viewers overall in “live plus seven day” Nielsens, making it the #2 highest-rated new scripted series of the season in 18-49 behind only Manifest. In “live plus same day” results, the series is undefeated in its Tuesday 10 p.m. ET timeslot versus regular broadcast competition, prevailing with 12 of 12 originals to date. New Amsterdam stars Ryan Eggold, Freema Agyeman, Janet Montgomery, Jocko Sims, Anupam Kher and Tyler Labine.